Vaccines and regular exams are key preventive care measures and are critical to the well-being of your pets to protect them from potentially deadly infectious diseases. Vaccination protects your pet from disease by exposing their body’s immune system to a type of bacteria or virus. 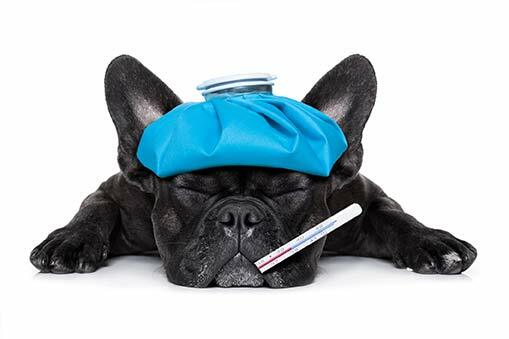 Our vets will advise which vaccines are appropriate for your pet’s risk factors. Proper administration of vaccine at the correct age and time interval is critical for maximum protection. Vaccination is particularly important in young animals with developing immune systems. Vaccination typically starts at 6-8 weeks of age and the puppy and kitten course is completed at around 16 weeks of age. Rabbits should have their first vaccination at 12 weeks, then annually. Vaccinations are only administered after a full health examination by our vet to ensure your pet is healthy enough to receive them. 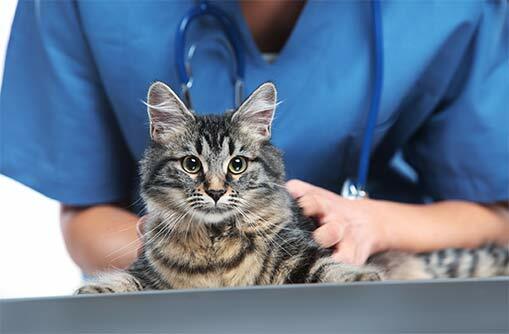 We will remind you when your pets are due for booster vaccinations during their adult years. A health check is an overall general health assessment that may sometimes include blood tests, urinalysis, or other tests. In many cases, a health check can help detect the early stages of disease. Health checks are recommended for most pets at least annually (usually done at the same time as vaccination), but we do recommend every 6 months for senior pets (8 years and older), pets with chronic health issues and pets who are taking a prescription medication. We will provide you with a checklist of the physical exam to take with you at the end of your consultation. Our hospital offers and encourages Preventive Medicine Services through early disease detection and wellness programs for adult and senior dogs and cats. Pets are living longer and they may experience increased problems with chronic illnesses. The earlier a problem is diagnosed and a treatment plan started, the better the outcome. These programs recommend twice yearly exams by a veterinarian in order to detect any changes or illness in pets as they age. We encourage the use of premium pet foods as we feel nutrition plays an important role in disease prevention and treatment. We also offer complete advice on parasite prevention and are also able to offer a Parasite Prevention Plan. Ask us how to sign up. Have you just purchased a new puppy or kitten and need some help with training and health care issues? Our vets can perform new puppy or kitten checks to ensure they are fit and healthy prior to starting their new life with you. 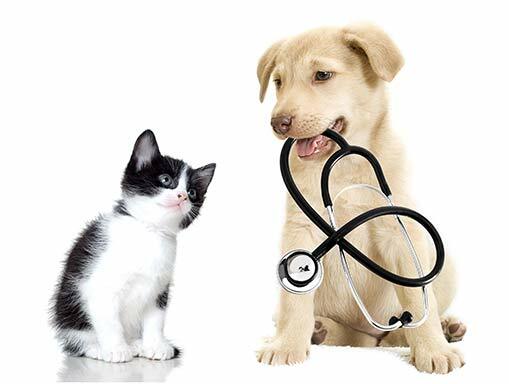 Our nursing staff are able to provide you with comprehensive information on the important issues of having a new puppy or kitten in your household. 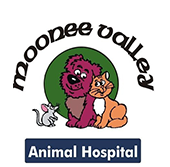 They will cover topics such as nutrition, toilet training, behaviour, parasite prevention, desexing, microchipping and any other questions or concerns you may have regarding your new addition. We also run Puppy Pre School classes on a regular basis that provide more in depth information, and is extremely important for early socialisation. See Puppy Pre School Classes. It is now compulsory in all municipalities, that all cats and dogs are microchipped. Puppies and kittens are normally microchipped when they are still with the breeder, so it is important to change the owner contact details as soon as you bring your new pet home. All our vets are registered microchip implanters. We register our chips on an Australia wide database to ensure pets can be reunited with their owner in the unlikely event that they are ever lost. Your pet can have allergies to common environmental factors just like us. Do you ever notice your pet’s skin becoming red or itchy? This could be an allergic reaction. Pets can suffer from allergies to elements in the environment around them, as well as certain ingredients in their foods. If you suspect that your pet could be suffering from an allergy, it is recommended that you schedule to have an examination and consultation with your veterinarian. Your vet will be able to assess and discuss his or her symptoms, and conduct any necessary tests to help isolate the allergy. Together, you can decide on which course of medication, or diet will help restore your pet to good health. Our clinic also offers thorough Ear Examinations. Symptoms like head shaking, scratching and pawing at the ears, rubbing the ears on the floor or furniture, whining, and abnormal odours are common. Ear problems are often related to skin conditions. 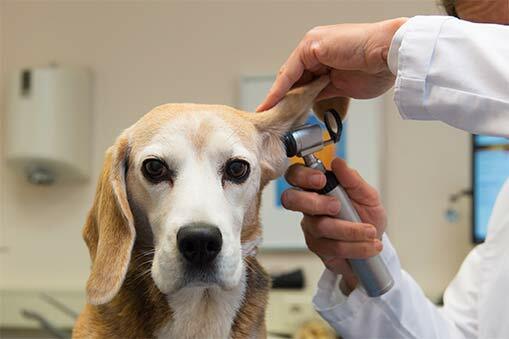 Conditions of the ear occur frequently in dogs and cats and result from a variety of causes. As with any other health issue, gathering a detailed history and performing a full examination of the patient is critical in determining these causes and is vital to the long term resolution of the symptoms. Careful examination of the ear with an Otoscope, visualizing the full length of the ear canal and the ear drum, provides information important to the diagnosis. Conditions of the ears can be extremely uncomfortable and painful. Some patients will require sedation or anaesthesia to be properly evaluated. Additional diagnostic tests are often required. Rechecking the ear after each stage of the treatment is critical to providing a long term resolution. As our pets age, just like us, they can develop arthritis. Symptoms can include: decreased activity levels, limping, difficulty rising or toileting, pain, stiff legs and swollen joints. Luckily there are many different treatments available to help them cope. We recommend a consultation with our vets to assess the severity and advice on the most suitable treatment plan. Our hospital offers a specialised Weight Management Program for your pet supported by our nutrition provider Royal Canin. Obesity in pets can contribute to many preventable life-threatening diseases such as diabetes mellitus, arthritis and heart disease. Weight management is a very important part of maintaining the health of our pets. In fact, pets that maintain their ideal body weight throughout life are noted to live 15% longer than overweight or obese pets. Please contact our nurses for an evaluation if your pet is overweight. We will advise on your pet’s current weight and an ideal body weight will be determined. Next, we will create a program unique to your pet and your pet’s lifestyle. The program is internet based as well as coming in to the clinic for regular weight consultations. The best thing is that we offer this service for FREE, all you need to pay for is your pets calorie restricted food. If you think your pet might need to lose a few kilos, we can discuss the steps you need to take and provide the tools you need for successful pet weight loss. We’ll be there every step of the way offering support and encouragement to you and your pet. Our staff can help identify and discuss behaviour issues that your pet may be displaying. Common conditions such as urine spraying in cats, anxiety and barking and destructive behaviour can be addressed during a consultation and options for treatment both medical and behavioural can be discussed. We can also provide referrals to behaviour management specialists if required. Our philosophy is prevention rather than cure. We advise that all pets be protected against parasites that are common in our environment. In dogs, heartworm, intestinal worms and fleas are common parasites and for cats, intestinal worms and fleas. We stock many options for protection and prevention and can tailor a program to suit your pets lifestyle. We also offer a Parasite Prevention Plan where we send your pets parasite control directly to you each month! Talk to us at the clinic if you’d like to sign up. Our purpose built facility allows for the hospitalisation of sick patients and also for pets undergoing surgical procedures. Our cages are large and spacious, with heating pads and soft fluffy blankets for the ultimate comfort of your pet during their stay with us. We also have a large dog ward, for dogs that are over 40kg. These are gated runs which allows large dogs to stretch out after they have recovered from a surgical procedure. We have a separate ward for cats, which is separate to the main hospital area. There is a viewing window for ease of monitoring hospitalised patients, but also allowing us to keep their stress levels to a minimum by keeping them out of sight of dogs and any noises that may make them uncomfortable. All of our wards are climate controlled and we also offer isolation if required. See Isolation Care. We are able to offer a complete, fully equipped isolation ward for any pet that may have a contagious disease. We follow strict practices and have procedures in place to prevent any spread of disease. This ensures the safety of other pets within the clinic as well as the specialised care for the sick patient. Unfortunately, there comes a time in the life of all pets when we need to consider all possibilities to relieve the pet’s suffering. Sadly, sometimes medical intervention may not provide a level of comfort acceptable to the animal’s quality of life. The decision to euthanase a beloved pet is among the most difficult choices a pet owner ever has to make. Consultation with a veterinarian will help owners to determine if euthanasia is appropriate and when that might occur. In a quiet and comfortable environment, euthanasia is performed by a veterinarian with the injection of an anaesthetic overdose into a vein through a IV catheter. Because an anaesthetic is used, no discomfort is perceived by the patient. The patient passes quickly. The veterinarian will insure that the heart, pulses and breathing have stopped. Pet owners are free to be present or leave depending on their preference. Prior to euthanasia, pet owners may decide how their pet’s body will be cared for. This reduces the emotional stress at the time of the procedure. Our clinic provides a range of respectful options, from group cremation, individual cremation with the ashes returned in a selected receptacle or the owner may also opt to bury their pet a home. Through consultation with the veterinarian and the hospital staff, the last days of a pet’s life can be comfortable and can reflect the care and love that the pet has experienced throughout its entire life. We sell and recommend the use of Royal Canin Premium pet foods for all life stages and disease prevention and treatment in both cats and dogs. These foods offer a complete and balanced diet for your pet without the need for any supplementation. Our staff are fully trained by Royal Canin on the entire range and are always happy to advise you on the best product for your pet. Our nurses Joanne and Elizabeth provide grooming services to veterinary clients of our clinic. They offer hydrobathing and full clip offs. They do not perform breed specific clips. Our Puppy Preschool classes run on a regular basis catering for puppies between the ages of 8 to 16 weeks. Our instructor will discuss various aspects of puppy ownership such as socialisation, health issues, nutrition, behaviour, toilet training, parasite control and basic obedience training. Our classes run for 1 hour each week for four weeks and are held after hours at the clinic. Talk to our nursing staff if you have a puppy you’d like to enrol. From time to time we have kittens available for adoption. The kittens have often been surrendered by our clients and are often the offspring of stray cats in the area. We have strict protocols for the quarantine of the kittens when they first arrive to our clinic. They are assessed by the veterinary team as to when they are ready for public viewing and to be offered for adoption. You will see them in our waiting room area in a specially designed kitten enclosure. Our kitten adoption price includes desexing, microchip and 1st F3 vaccination and FIV vaccination. We also maintain a waiting list for our clients that are looking for their new furry friend. X-rays are used to help your vet diagnose a problem or a disease in your pet. X-rays are capable of detecting arthritis, fractures, bony tumours and other forms of cancer; heart enlargement and congestive heart failure; bladder and kidney stones; stomach or intestinal foreign bodies; pneumonia and other lung diseases and much more. X-rays may be part of a diagnostic work-up if your pet has a problem, or as part of a general wellness examination in an older pet to detect potential problems early. Our clinic uses an external Veterinary Pathology laboratory for specialised tests. Our samples are couriered to the laboratory on the same day as collection allowing for a fast turnaround of results with most blood tests. Our vets or nurses will phone owners directly to advise of the results once they have been received. Our clinic has a fully equipped laboratory in which we are able to perform various tests in-house, allowing us to find answers quickly to many of your pets health issues. From pre anaesthetic blood testing, urinalysis, skin scrapings and microbiology, we have at hand the tools to guide us to the right treatment for your pet’s health issues. Our hospital has a fully equipped sterile surgical suite with state of the art anaesthetic and monitoring equipment and surgical instruments. We maintain stock of many anaesthetic agents to ensure the gold standard is available for each pet. All surgical patients are maintained on intravenous fluids to help maintain blood pressure and aid surgical recovery. A dedicated surgical nurse assists the vet throughout the procedure and recovers the patient post surgery. The nurse will also provide the aftercare information to the owner at the discharge appointment. We also have a non sterile area for the preparation of surgical patients and dental procedures. Our surgery areas are equipped to provide routine surgery such as desexing, hernia repair, lump removals and dentals. We are also able to perform many non routine surgery procedures as they may arise. Some of these may include exploratory laparotomy’s, amputations, eye ablations, caesarians and cruciate repair. We are also able to provide immediate referral to local specialists if it is required.